Gold is still a glittering investment returning just over an 11% return in the third quarter as investors looked for a safe haven for their cash. Global central bank actions to stimulate their economies have pushed down interest rates and subdued markets, leaving gold a safe and acceptable, says the World Gold Council. 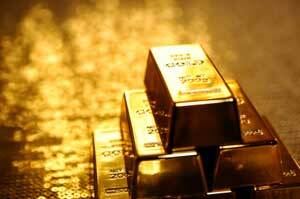 By the end of September, gold (US$/oz) was up 16% year-to-date with two thirds of the gains generated in the quarter. This performance was echoed in most currencies, with yields ranging from 5% to 11% (End-of-period gold price data) or 0.7% to 5.2% (Average prices). The difference between these two measures reflects gold’s sharp price rise towards the end of the quarter. Exchange rate shifts had a notable impact on some key regional gold prices. During the first half of the year, Indian rupee depreciation led the local gold price to breach a key psychological threshold, generating the strongest return of the 19 different currency-denominated gold prices monitored by the World Gold Council. That currency weakness reversed in the third quarter, leading to a modest return of 5% for gold in rupee terms. Consequently, the year-to-date performance of the rupee gold price ranked only 11th (+15.7%) as of the end of the quarter. “Most central banks currently view their country’s economic state as unacceptable and have acted to accelerate the economic recovery,” says the council’s quarterly report. “However, there are many obstacles facing developed countries that will force central banks to continue their unconventional monetary policies. In the US, the Fed is motivated by the ailing labour and housing markets and would like unemployment and inflation to be closer to normalised levels. “The market expects partial normalisation to begin around mid to late 2014, though if Japan were to be used as a guide, a prolonged period of subpar performance may lie in store. Bank of Japan policies have set a precedent in unconventional monetary policy duration as they are now in their 12th year. “The European Central Bank is caught between regional recession coupled with fiscal austerity and a prolonged period of intervention before growth and price stability is restored to a consistent path.